It’s taken a bit over a week for things to settle down from the weekend! What a success. First off, thank you. 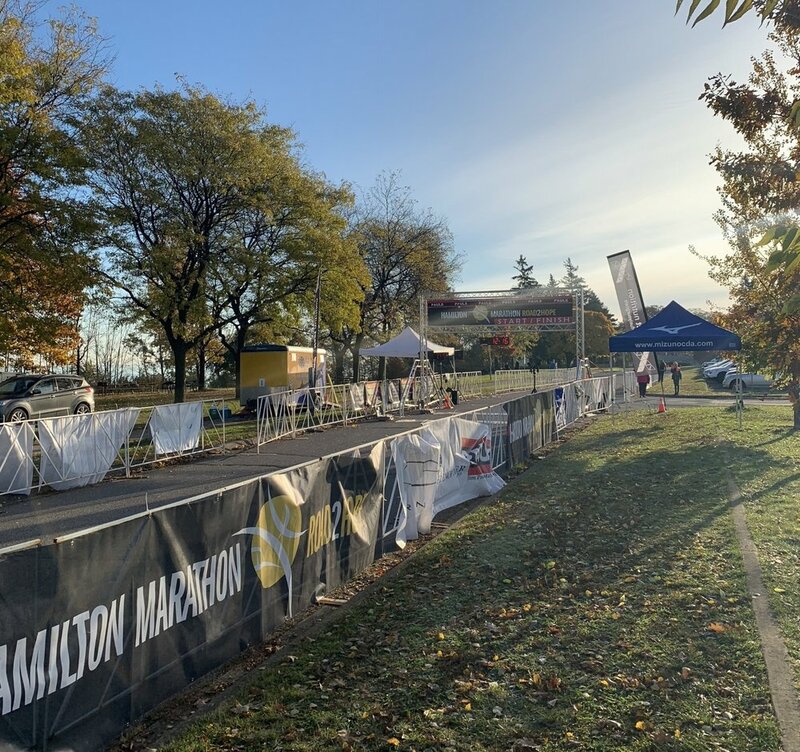 Thank you to everyone involved, from the runners and spectators, to the medical team and volunteers, charity partners, and race coordinators. Without the amazing people surrounding this event it just couldn't be done. This time of year the weather can be unpredictable, however we had two beautiful days, especially for our Sunday runners. Hamilton was definitely showing off its fall colours! If you have photos from the race weekend, or maybe a story of your own to share, we would love to see and hear them! Please send them to jordan@runnersden.com! Once again, a big congratulations to all! Below are the winners from each race. For the past six years that Marauder’s Mens cross country team have placed fourth in the Country. Well, this past weekend they wrote a different script. The boy’s came back to Hamilton with the Bronze team medal and two of the scorer’s went away with All-Canadian honours. A Huge congratulations to the team and especially coaches Paula Schnurr and Pete Self, who work tirelessly for the program. Runner’s of all abilities have already started to sign up for the clinic. The first one of the year will be our 2019 Around the Bay Training Clinic. The 12 week program will begin the week of January 6th. Whether you are planning on running the 5k or 30k there will be a group for you to train with. This is great motivation to stay fit over the cold and dark Winter months! The clinic includes two coached runs during the week as well as a group long run on Saturday morning, all leaving from the Runner's Den. Runners will get 15% off all purchases in the store, and there will be many giveaways and prizes! For more information check out our CLINICS page. Please don’t hesitate to contact us at jordan@runnersden.com if you have any questions.